The European refugee crisis has been in the spotlight for several years in EU politics. Southern European countries have been interested by this phenomenon for a long time. It is undeniable that the refugee crisis has affected European Union policy and threatened the prosecution of the Schengen Treaty, as well as Italy’s neighbouring countries deciding to shut down their own borders. Greece has faced the shuttering of its asylum-seeking system, while the Italian asylum-seeking centres are almost full and the persisting economic crisis isn’t helping in managing the situation. 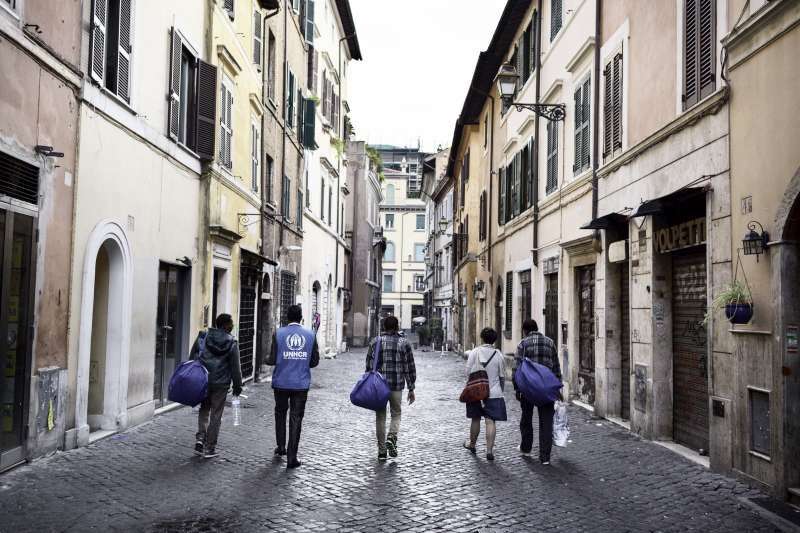 In Italy, the “sorting” of the asylum seekers is entrusted to lots of private cooperatives which receive funds from the government to guarantee the management of the refugee shelters. These cooperatives receive almost thirty euros per capita, investing in food, beds and other facilities for migrants during their stay while they’re waiting for their recognition of refugee status. These systems seemed to work initially, but Italy is one of the closest European shores to Africa, and during these years of disorders in the Middle East millions of refugees have reached Italy to find asylum in Europe. So, our kind of refugee shelter management leads to different social and economic implications; the asylum-seeking system was not designed to host such a great number of people every year. The refugee shelters have become over-populated and funds have become scarce. In most of this centres, called “C.A.R.A”(the Italian acronyms for Shelter for asylum seekers), the living and hygienic conditions are not at their best, and often there have been registered episodes of internal disorders. Italian society is also split between those who would like to shut down their borders and those who would prefer better integration. Recently, some small towns have taken position against the arrival of groups of migrants by erecting barriers. The political parties against immigration have also reached a high consensus among population. But can we simply continue implementing this escalation of inadequate policies and frustration? In Italy, one of the main problems is unemployment, especially among the youngest. But what is most significant is that many of the unemployed are teachers, social assistants, interpreters, cultural mediators, and sometimes even nurses. These are the perfect kind of people needed in the shelters. Nowadays, much of the personnel in the refugee shelters is composed by volunteers, often well-trained and experts. These people have often studied at university, but simply don’t succeed in finding a good job and sometimes the only way for working in the field of cooperation is accepting a non-paid job. This is a paradox, considering how these professional figures are important in a period where one of the major problems is migration. Max Frisch, an important writer and architect, once said about Italian immigration in Switzerland “We were waiting for workers, but have arrived men, instead”, and these men need help. But they could also help Italy. In the last years, lots of projects for solving have been the problem of shelter mismanagement, and one of these projects, promoted by several Italian reporters, includes the possibility of giving the local towns the funds for managing the shelters, rather than relying on private cooperatives. In this way it would be possible to solve the other great Italian problem – unemployment. If the local towns and regions receive more funds and create well equipped institutions for migrants, they could also create more jobs for the younger generation. The asylum seekers could be helped to learn Italian, English and other European languages, and could be better integrated in the Italian society or learn about local laws. There will be a constant need of teachers, assistants, mediators, interpreters, nurses, legal counsellors and so on. This type of solutions seems to also satisfy the expectation of some extremist leaders and groups who would like to stop immigration at all, but are persuaded by the idea of creating more jobs. So, if it is not possible to achieve a better integration by appealing to the necessity of the basic respect of human and civil rights, we can truly starting to think that we could reach a better, multicultural society relying on its economic benefits, even if this seems more pragmatic than ethic. ‹ Federation or separation: which path will Cameroon take? › 39% still in poverty in Pakistan: how can we eradicate poverty?